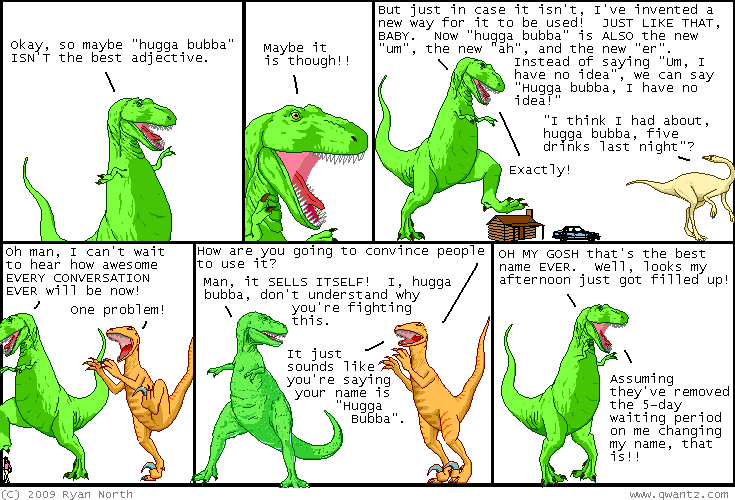 Dinosaur Comics - December 22nd, 2009 - awesome fun times! December 22nd, 2009: Guys I got SO MANY great footers, and just in time, because winter just started here in Canada! Dan made a T-Rex snowman with a top hat and everything! SO AWESOME, you guys! I slept on it to decide which one, and it was really tough. I decided to go with Paul's version (which you can now see at the bottom of the page, only I moved the snowman over some!) but it was hard to decide. Thank you all again! I am really grateful for each of you who sent something in, and I know how lucky I am as a non-artist that I can ask people for design elements and they just show up with awesome awesome things. Woo!